As the mother of two boys, we have a lot of cars in our house. 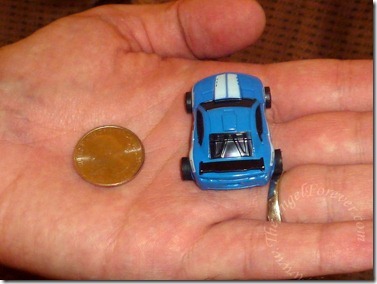 I honestly think Hot Wheels could take over NHL and JSL’s room at times. I often laugh about what would happen if they came to life at night like the movie Toy Story. As NHL has grown up, he has wanted to try more tech savvy car items. 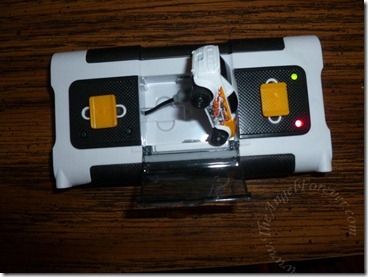 At eight years old, NHL has received several remote control cars. Most of them have never worked well, or the remote antennae bend easily, and/or and it is dangerous around other children. 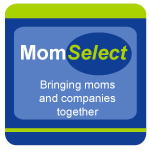 When Mom Select asked me to participate in a Hot Wheels RC Nitro Speeders opportunity, I was intrigued. 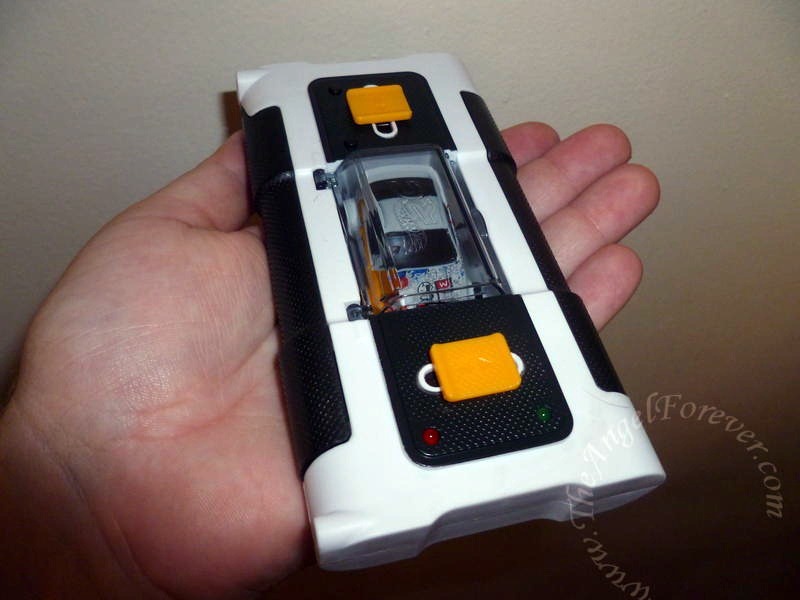 Imagine a remote control car that stores within the case that fits in the palm of an adult hand. 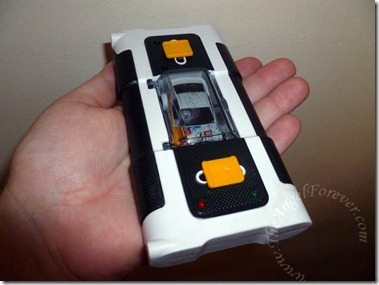 There is no antennae, the car charges within the case, and it can be ready to go easily. When I said that the remote could fit into an adult hand, I was not kidding. Everything packs up into this small and convenient size. It actually reminds me of the old style Nintendo controller from my childhood. NHL had fun making an obstacle course for his Mustang. Here are the Mario Chess pieces being used in this unique way. 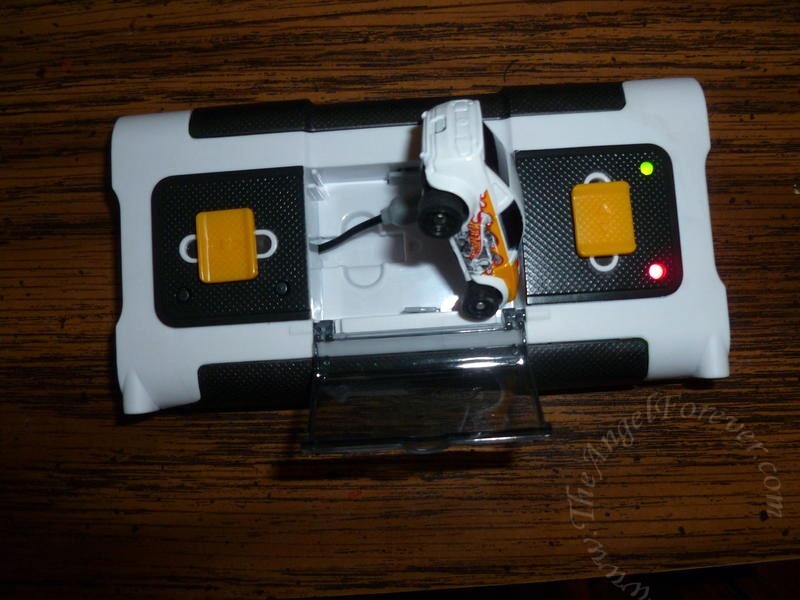 Although the package states that the Speeders are for ages 8 and up, JSL (4) had no problem using it. I would just keep him away from charging it on his own and make sure to help him take the car in and out of the case. As you will see, he loved it. After quite a bit of use, the Speeder needed to be charged. Here it is getting some juice from the AA batteries that are within the case. 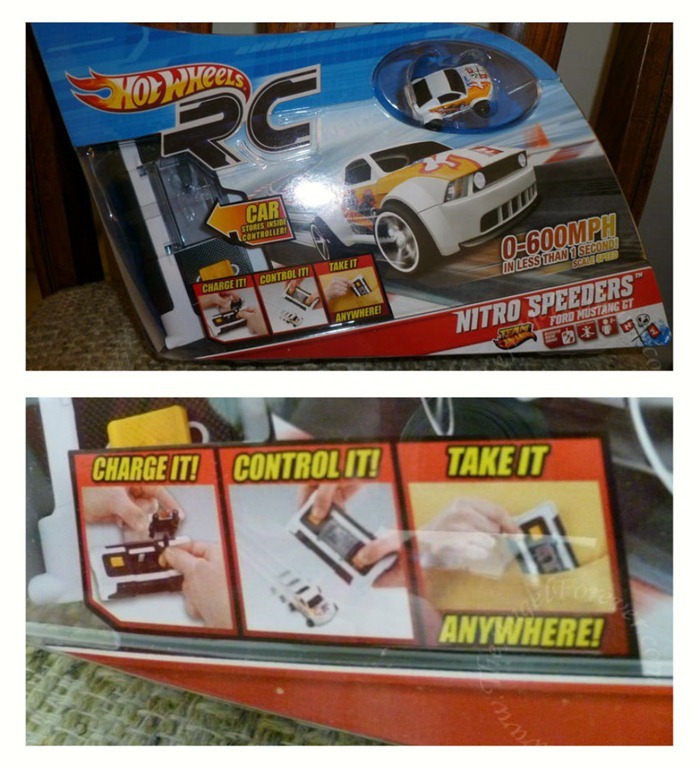 So, if you haven’t guessed it – we are big fans of the Hot Wheels RC Nitro Speeders. The boys like racing it around and are having fun learning how to control them better. With a little practice, I can see more complex courses being set up to tackle. Thanks to Hot Wheels, one lucky reader will win their very own RC Nitro Speeder ($27.99). This would make a great gift for a special child in your life or to be a kid at heart and play. 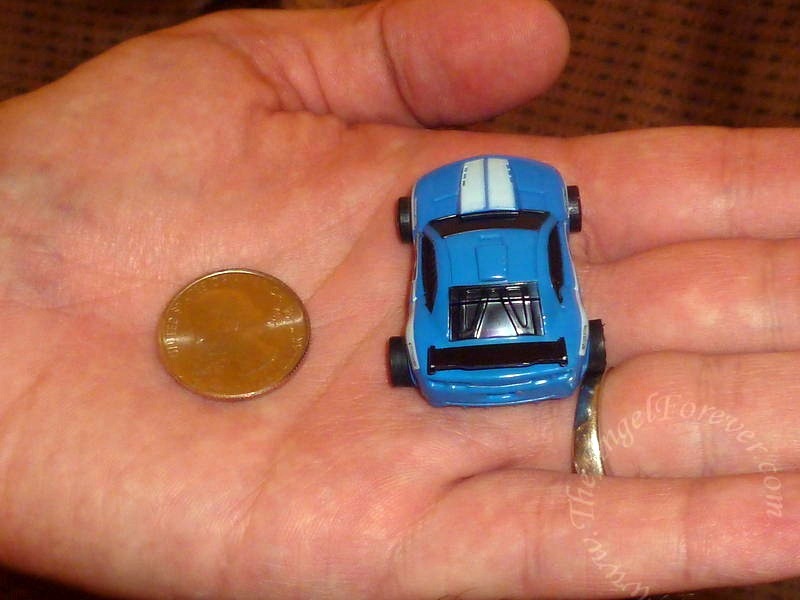 MAIN RULE – What car would you love to see as a Hot Wheels? Tell me the model, color, and anything else that would make it extra special for you. 1 Bonus Entry – Leave a comment on any of my non-giveaway posts from the month of August/September. Leave a comment here to let me know which one. This Bonus entry may be done twice per day. To enter, please follow the rules above within the comment section. Contest starts today August 25, 2011 and ends at 10:59 EST on September 12, 2011. You do not have to be a blogger to enter, but must leave a valid e-mail address for me to contact you for mailing address once the giveaway is over. I will select the winner using random.org and contact you via e-mail. You will have 48 hours to claim the prize. If there is no response, another winner will be selected. Open to U.S. residents only. 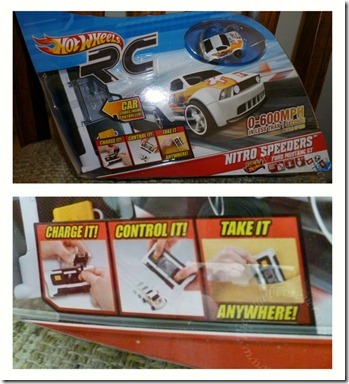 Disclosure: I received a RC Nitro Speeders from Hot Wheels to facilitate this review for MomSelect. No other compensation was given and all opinions expressed in this review are my families feelings about the product. Sara Phillips´s last blog post ..Chobani Winner! 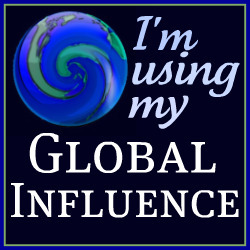 Sara Phillips´s last blog post ..I am so PROUD! Logan’s 9th birthday is coming up, and I’m sure he would love this. 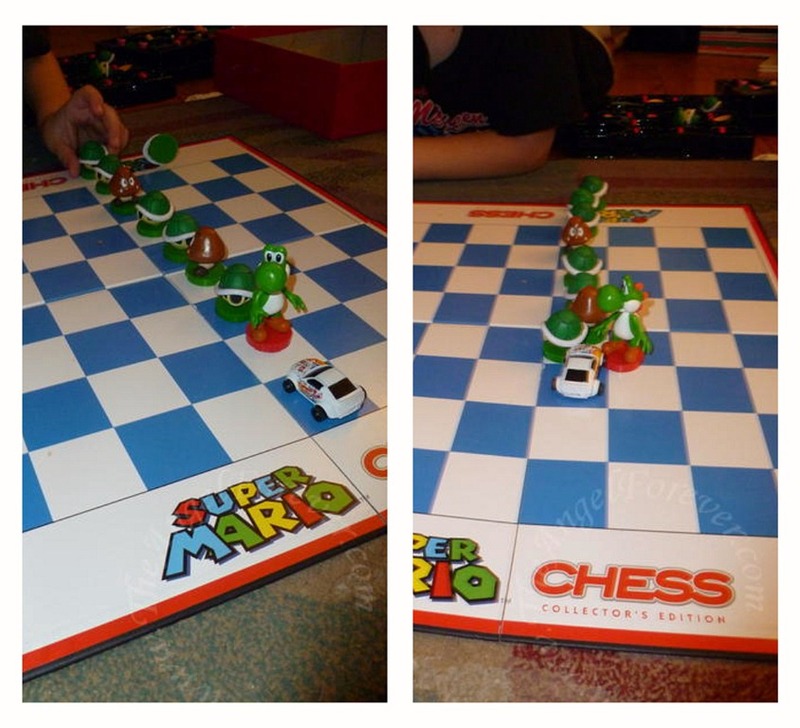 First off, J-Man has the same chess set and he loves it. I would like to see a black Trans Am like the one from Smokey & the Bandit. That’s what my husband was driving when we were dating. Thanks to everyone that entered the giveaway. The comments are now closed and the winner will be notified and announced on the giveaway page shortly.